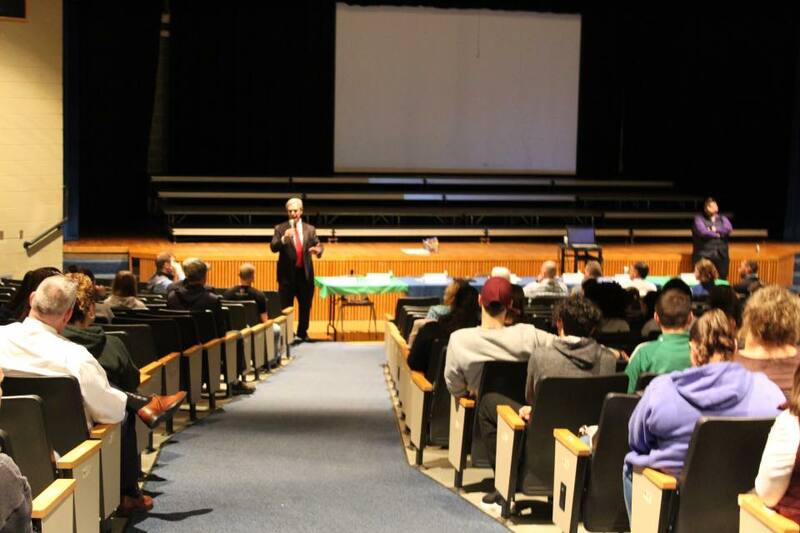 WEBSTER — The movie “If They Had Known,” a powerful documentary about the death of a Massachusetts college student who mixed prescription drugs and alcohol, is being shown to students and parents of students at Bartlett High School by Worcester County District Attorney Joseph D. Early Jr.
“If They Had Known” tells the story of Clay Soper, a college student from Winchester, who died after mixing Xanax and alcohol at a party. The documentary includes interviews with Clay’s friends and family. It addresses the risks of the current party culture among teenagers and college students. 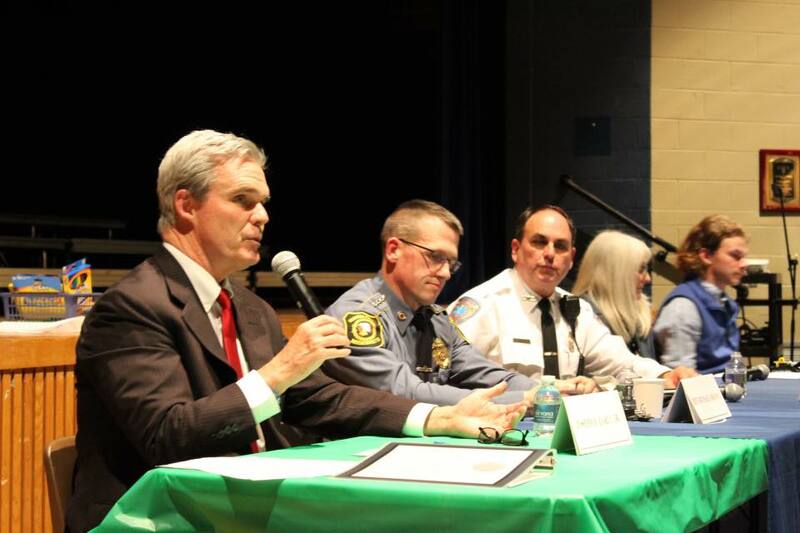 The office presented a screening of the film and a panel discussion, including Webster Police Chief Mike Shaw, Webster Emergency Medical Services Chief Gary Millard, Superintendent Ruthann Goguen and Ross Lebold from Nichols College, on Thursday, March 14. All students at Bartlett High School will be shown the film next week. 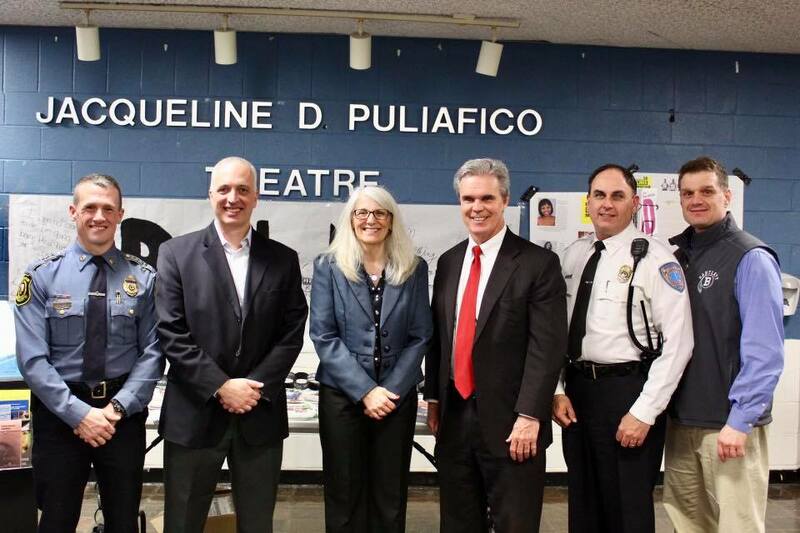 Webster Police Chief Mike Shaw, Webster School Committee Chairman David Hurton, Superintendent Ruthann Goguen, District Attorney Joseph D. Early Jr., Webster Emergency Medical Services Chief Gary Millard, and Bartlett High School Principal Peter Cushing. This documentary is the latest in District Attorney Early’s efforts to encourage young people to make safe and healthy choices. In 2017, Early’s office began presenting the evidence-based program, “This Is (Not) About Drugs,” to middle school students across Worcester County. The District Attorney’s community outreach unit also offers programs about bullying, cyber safety and distracted driving. Schools can request a presentation of the “If They Had Known” documentary or other outreach programming by emailing Jill Wooldridge at jill.wooldridge@massmail.state.ma.us.